LED TVs are by far the biggest selling type of television in the UK. They offer the benefits of sharp, bright displays, low power consumption and ultraslim designs. Read our reviews to find the best TV, and check out our choice of the best 55-inch TV. The Samsung UE50NU7470 is a slightly more expensive version of the NU7400. It has a silver frame instead of black, and an upgraded remote. Otherwise it's the same, and is a fab 50-inch HDR TV with a wide range of content and very good picture quality. The LG 55SJ850V is an excellent mid-range 4K HDR TV with a big screen and plenty of smart functionality. With smart looks, rich audio, and wide viewing angles, it's a good all-rounder. And with streaming content from Amazon and Netflix, plus catch-up TV from the BBC iPlayer and others, there's nothing missing. The LG 49UJ701V is a good mid-range 49-inch TV. It boasts a premium design, a comprehensive Smart TV system including Freeview Play, Freesat HD, Netflix, Amazon and NOW TV, and good picture quality with wide viewing angles. It's an excellent choice of family TV. The Samsung MU7000 is one of the best 49-inch TVs you can buy in 2017. The price has fallen since launch, making it very affordable for the discerning viewer. And with premium looks, clutter-free cable management, superb audio and Samsung's superb Smart TV system, it's a great choice for family viewing. The Panasonic EX750B is the top-end model in the company's range of LED TVs for 2017. It's a UHD TV with support for HDR Pro and 3D. Picture quality is good, and the TV has a nice design and good Smart TV functionality. Overpriced at launch, we're looking for the price to fall to �1100 by the year end sales. The Sony KD-55XE8596 is a mid-range 55-inch TV with 4K HDR support. The slim aluminium frame and silver slate stand with neat cable management are attractive, and the TV comes with the benefit of Android Smart TV too. Picture quality isn't a match for Sony's more expensive models, and we feel the price ought to be lower to reflect that. LG 32LF630V review - The LG 32LF630V 32-inch TV doesn't have the best picture quality we've ever seen, but it's well-priced and has the advantage of WebOS Smart TV and plenty of connectivity options. It could be good as a second TV, or for casual viewing, especially if you can find a good deal on the price. 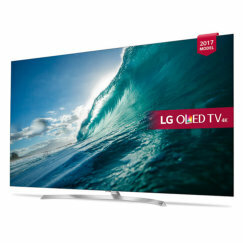 LG 40LF630V review - The LG 40LF630V is a value-for-money TV with excellent WebOS Smart TV functions and plenty of connectivity options. However, the IPS display offers muddy viewing that doesn't impress. We'd recommend it only if the price falls below �400, and even then, only with reservations. LG 42LA740V review - An almost-perfect 42 inch TV and now very affordable thanks to a big price drop after launch. LG 42LB550V review - This is one of the cheapest 42 inch TVs you can buy, but there's a good reason why it's so cheap. LG 42LB561V review - The LG 42LB561V is almost the same as the LG 42LB550V and is one of the cheapest 42 inch TVs you can buy. LG 42LM670T review - This 42 inch TV combines stunning looks with outstanding picture quality, connectivity and Smart TV functionality. LG 42LM760T review - This is the best 42 inch TV you can buy, and it even costs less than rivals from Sony and Samsung. LG 43UJ635V review - The LG 43UJ635V is a low cost 43-inch TV with UHD and HDR. Images on this TV are sharp and clear, with natural-looking colours and wide viewing angles, although mid-range tones tend to come out too dark. With access to content from Freeview HD, BBC iPlayer, Amazon and Netflix, there's plenty available to watch. LG 47LM670T review - This 47 inch TV combines stunning looks with outstanding picture quality, connectivity and Smart TV functionality. LG 47LM760T review - A truly outstanding 47 inch LED TV in all respects. LG 49SJ810V review - The LG 49SJ810V is a flagship 49" TV with premium styling and good picture quality. The comprehensive Smart TV system includes Freeview Play, Freesat HD, Netflix and Amazon. Viewing angles are particularly wide, making this a good choice for a family TV. It's a good choice for gamers too. LG 49UF770V review - LG's 2015 range of edgelit LED TVs offers a good value entry point into UHD (4K) viewing. The 49UF770V model is the same as the 49UF850V, but with a less refined plastic design, no 3D viewing, and lower quality audio. LG 49UF850V review - The 49-inch LG 49UF850V is a very stylish UHD TV that's ideal for family viewing. Picture quality isn't the best for the price, but the UF850V makes up for this with its stunning design, user-friendly WebOS Smart TV, and 3D capability. LG 49UH668V review - The LG 49UH668V is a good TV for family viewing, with a big 4K screen and HDR10 compatibility, plus all the benefits of Smart TV - BBC iPlayer, Netflix 4K and Amazon Instant Video. Colours are bright and bold, adding to the TV's instant appeal, but sports fans and movie buffs might find fault with its motion blur and lack of shadow detail. LG 49UH770V review - The LG 49UH770V is a higher-end 49-inch TV that offers very good value for money. It's one of LG's "Super UHD" models with HDR10 and Dolby Vision, giving it very good picture quality. The Smart TV system offers a comprehensive range of entertainment, and the "magic" remote makes it easy to use. LG 49UH850V review - The LG 49UH850V is a superb 4K TV with HDR capability, at a reasonable price. It's beautifully styled, with a smart silver and white finish. The TV uses a fast IPS display with bright colours and wide viewing angles. It's 3D compatible, and has an excellent 2.2 speaker audio system. LG's latest WebOS 3.0 Smart TV system includes apps for the BBC iPlayer, Demand 5, Netflix 4K and Amazon Instant Video. Connectivity is excellent, and includes Freeview HD and Freesat HD tuners. It's a great package! 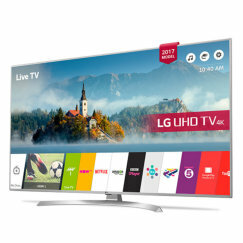 LG 55LM670T review - This 55 inch TV combines stunning looks with outstanding picture quality, connectivity and Smart TV functionality. LG 55SJ810V review - The LG 55SJ810V is a very well-priced 55" HDR TV with premium looks. The comprehensive Smart TV system includes Freeview Play, Freesat HD, Netflix and Amazon. Viewing angles are particularly wide, making this a good choice for a family TV. LG 55UF680V review - With the 55UF680V, LG has cut the price of owning a 55-inch UHD TV to the bare minimum. The design and styling of this TV are nice, the Smart TV functionality is good, and the price is almost unbelievable. But picture quality and audio aren't as good as we'd ideally like. LG 55UF770V review - The LG 55UF770V is one of the cheapest 55-inch UHD televisions in the shops in 2015, and that means that it can't be ignored. It's not the most refined TV we've seen this year, but for all-round family viewing it's a good option. LG 55UF850V review - The LG 55UF850V is a 4K TV, offering 55 inches of Ultra High Definition screen. It has stunning designer looks, excellent 3D viewing, and Smart TV. But there are compromises in picture quality and audio, so consider very carefully before parting with your cash. LG 55UH625V review - The LG 55UH625V is an affordable 55-inch UHD TV with HDR processing. Bright colours and wide viewing angles make it great for family daytime viewing, but it's not so refined when it comes to movies - nor does it offer 3D viewing. 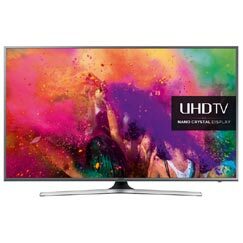 This is a good starter TV for anyone looking for a big screen, but we'd like to see the price drop to around �900. LG 55UH770V review - The LG 55UH770V is a UHD TV that offers true HDR10 and Dolby Vision support, which means super-sharp images, high dynamic range, and bright, natural colours. With premium design and excellent Smart TV, plus a "magic" remote it's an all-round family entertainment system, and very competitively priced too. LG 55UH850V review - The LG 55UH850V UHD HDR TV is an excellent choice for family viewing, with a big 55 inch screen and support for the Dolby Vision and HDR10 standards for High Dynamic Range (HDR). This TV incorporates catch-up TV, Netflix & Amazon streaming services, as well as YouTube, plus Freeview HD & Freesat HD tuners. With designer looks and a beefed-up sound system from Harmon Kardon, it has all the bases covered. LG 55UH950V review - The LG UH950V is LG's premier LED TV for 2016, and the 55-inch model is the best value. With its ultrathin screen and metal frame and stand, it's a real beauty. Picture quality is amazing, with rich colours, deep blacks and smooth motion. Audio quality is good too, with a 2.2 speaker system. Smart TV functions include the BBC iPlayer, Netflix and Amazon. Overall, it's a top TV, but be sure to shop around for value. LG 55UJ701V review - The LG 55UJ701V offers compelling value for money. 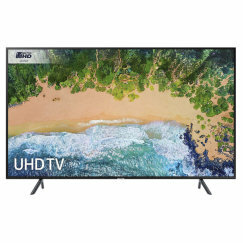 A 55" HDR TV with premium looks for around �850 has to be worth considering, and the UJ701V is well featured too, with Freeview Play, Freesat compatibility and comprehensive Smart TV, including Netflix and Amazon. Viewing angles are particularly wide, making this a good choice for a family TV. LG 60UH850V review - The LG 60UH850V delivers the picture quality that a 60 inch screen demands, with full support for the HDR10 and Dolby Vision standards. This "Super UHD" TV is a superb all-rounder, with a top audio system to match the excellent picture quality. It also comes with BBC iPlayer, Demand 5, Netflix 4K and Amazon Instant Video. LG 65UH950V review - The LG 65UH950V is the 65-inch version of LG's flagship LED TV of 2016, and offers extraordinary viewing. With a quantum dot display for vibrant 10-bit colour, vivid luminance, and full support for HDR10 and Dolby Vision, it offers one of the finest viewing experiences possible. Comprehensive Smart TV, superior sound from Harman/Kardon speakers, plus a premium ultrathin design, complete the package. It's not cheap, but offers fair value in our opinion. Panasonic TX-32A400B review - The Viera TX-32A400B is the cheapest television in Panasonic's 2014 range and is a bit of a bargain. It's a 32 inch TV with good looks and a built-in Freeview HD tuner and is ideal for a bedroom. Panasonic TX-32AS500B review - The Panasonic Viera TX-32AS500B is a good value 32 inch Smart TV. Picture quality is good, it includes a built-in Freeview HD tuner plus catch-up TV services, and is ideal for a bedroom. Panasonic TX-39A400B review - The Panasonic TX-39A400B is ideally sized for an apartment or any space where a 42 inch TV would be too big. It's a bargain too, although be aware that there are just 2 HDMI connections. Panasonic TX-39AS500B review - The Panasonic TX-39AS500B Smart TV is ideally sized for an apartment or any space where a 42 inch TV would be too big. It's good value, but be aware that there are just 2 HDMI connections. Panasonic TX-40CS520B review - The Panasonic Viera TX-40CS520 is one of the cheaper 40-inch Smart TVs on sale, but we feel that there have been too many cuts in its capability. In particular, with just 2 HDMI ports, there's a real risk that this will turn out to be be a false economy. Panasonic TX-40CS620B review - If you're looking for a 40-inch TV that doesn't cost the earth, you'd do well to consider the Panasonic Viera TX-40CS620B. Stripping away the non-essentials of 3D and UHD, the CS620B concentrates on the basics and does them very well indeed. 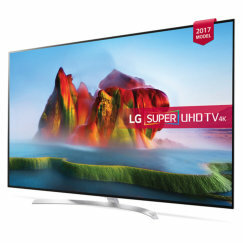 For around �400 you'll get a very fine TV with excellent picture quality, Smart TV and connectivity. Highly recommended! Panasonic TX-40CX400B review - The Panasonic TX-40CX400B offers a low-cost entry into the world of UHD (4K) television. With a smart appearance, essential Smart TV functionality, and mostly good picture quality, it's the one to choose if every penny counts, although arguably you might be better off choosing a non-UHD model at this screen size. Panasonic TX-40CX680B review - The Panasonic TX-40CX680B is an excellent UHD (4K) TV that has plenty to offer the discerning viewer. Its top features are probably its truly excellent picture quality and superb Smart TV functionality. It's nice-looking too, and quite well priced when you consider the quality of the TV. Panasonic TX-40CX700B review - You'll need a good reason to spend �600 on a 40-inch TV, so here are a few good reasons to buy the Panasonic Viera TX-40CX700B: UHD (4K) resolution, a super bright panel with incredible contrast, excellent motion handling, accurate colours, 3D, stunning design, excellent connectivity and Smart TV. Panasonic TX-40DS500B review - The Panasonic TX-40DS500B is an entry-level 40-inch HD TV. Its best features are Freetime Catch-Up TV and streaming services from Netflix and Amazon Instant Video. It also has built-in Wi-Fi and ethernet connections, and can mirror smartphone screens. Picture quality isn't very refined however, and neither is the sound system. We'd only recommend this model if you can buy it for less than �400. Panasonic TX-40DX700B review - The Viera TX-40DX700B is Panasonic's top 40-inch TV for 2016, and the only one with HDR compatibility. Panasonic's Firefox Smart TV system is outstanding, offering a wide range of streaming and catch-up TV, including Freeview Play, Netflix 4K, Amazon Instant Video 4K and YouTube 4K. Panasonic TX-40ES500B review - The Panasonic TX-40ES500B is a good choice of 40-inch TV. The screen is sharp, with good shadow detail, although it's not the brightest screen we've seen this year. The silver stand gives this model a premium look, and the range of content available is impressive, with Freeview Play, Amazon, Netflix and more all included. Panasonic TX-40EX600B review - The Panasonic TX-40EX600B is a basic 4K HDR TV, and the price has now fallen to a fair level. But even at �500, we don't rate it too highly. From the design to the picture quality, you'll find better elsewhere. Panasonic TX-42A400B review - The Viera TX-42A400B is Panasonic's entry-level 42 inch TV for 2014 and is one of the cheapest 42 inch LED TVs available. Panasonic TX-42AS500B review - The Panasonic Viera TX-42AS500B is a family-sized Smart TV that offers outstanding value for money. Picture quality is good, but the restriction of just two HDMI connections is an issue. Panasonic TX-42AS740B review - The Panasonic TX-42AS740B is a family-sized TV with built-in Freetime. The Smart TV functionality is excellent, but there are issues with picture quality and the TV seems over-priced. Panasonic TX-47AS740B review - The Panasonic TX-47AS740B is a good-sized family TV with the benefit of built-in Freetime. Its key selling point is its Smart TV functionality, but in comparison with similar models from other manufacturers, it seems over-priced. Panasonic TX-48CX400B review - The Panasonic Viera TX-48CX400B is a cut-price UHD (4K) TV. Despite its low price, this TV offers big-screen UHD viewing, plus the benefits of Smart TV and excellent connectivity. 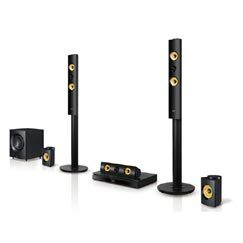 The picture quality isn't quite a match for more expensive models, and sound quality leaves a lot to be desired, but if you're on a tight budget, this is definitely one to put at the top of your list. Panasonic TX-49DS500B review - The Panasonic Viera TX-49DS500B is a very cheap big-screen TV, with the benefits of Freetime Catch-Up TV plus Netflix and Amazon Instant Video apps. But its budget nature reveals itself in its rough construction, low picture quality and entry-level sound system. Panasonic TX-49DX600B review - The Panasonic Viera TX-49DX600B is an entry-level UHD (4K) television. It's a good choice for family viewing, with wide viewing angles, and outstanding Smart TV services, including Amazon, Netflix and Freeview Play. But serious movie and sports fans might do well to consider a model with a more capable screen. Panasonic TX-49DX650B review - The Panasonic TX-49DX650B is a fairly basic UHD (4K) TV. The Smart TV system is good, with Amazon, Netflix and Freeview Play included, but the picture quality isn't very refined. It's quite good value if you're after a big screen, but there are better models available for a similar price. Panasonic TX-49EX600B review - The Panasonic TX-49EX600B is one of the cheapest 49-50 inch TVs available in 2017, but there are good reasons for that. Picture quality is poor, with little contrast in evidence despite this being a HDR model. Motion blur is a problem too. We'd avoid this TV and look elsewhere. Panasonic TX-50CX680B review - The Panasonic Viera TX-50CX680B is a 50-inch UHD (4K) TV with a smart design and excellent picture quality - thanks to Panasonic's "Super Bright" LED display technology. It also comes with Panasonic's latest Firefox Smart TV system. Now that the price has fallen significantly, we've upgraded our rating from 4 stars to 5 stars. Panasonic TX-50CX700B review - The Panasonic Viera TX-50CX700B is an affordable 50-inch UHD TV. Not only does it have a stunning design, but it also delivers exceptionally good picture quality with Panasonic's "Super Bright" technology giving bright, vivid images with deep blacks and plenty of shadow detail. Smart TV and connectivity options are excellent too. Panasonic TX-50CX802B review - The Panasonic TX-50CX802B is one of the truly outstanding TVs of 2015. With stunning design and equally stunning UHD picture quality, plus superb Smart TV and a superior audio system, it's one of the best TVs of the year, and worth its high price. Panasonic TX-50DX700B review - The Panasonic TX-50DX700B is an entry-level UHD HDR TV with smart looks and adjustable feet. While it supports the HDR standard, its a relatively low-end option, missing the UHD Premium certification and 3D capability of more expensive models. But Panasonic's Firefox Smart TV system is excellent, offering a wide range of streaming and catch-up TV. Panasonic TX-50DX750B review - The Panasonic Viera TX-50DX750B is a very attractive 50-inch UHD (4K) TV available at a reasonably competitive price. It delivers a very rich viewing experience with both 4K and standard definition viewing material, and has the advantage of HDR support too. The Firefox OS Smart TV system and Freeview Play with twin tuners make it a full all-round entertainment system, and we heartily recommend it! Panasonic TX-50DX802B review - The Panasonic Viera TX-50DX802B is a 3D UHD TV with stand-out looks. The Freestyle Design of the DX802 makes it into a work of art. At the same time, picture quality is as good as any 50-inch TV, with fluid motion, a huge dynamic range, HDR compatibility, and good viewing angles. The integrated soundbar gives it top audio performance, and it includes Freeview Play, Netflix 4K, Amazon 4K, YouTube, and twin Freeview HD and Freesat HD tuners. Outstanding! Panasonic TX-50EX700B review - Dropping in below the excellent EX750B, the Panasonic EX700B is a more affordable 4K HDR TV with an attractive design. Next to its pricier sibling, the picture looks a little grey, and motion blur makes it a poor option for football fans, but for overall family viewing it's not a bad choice of 50-inch TV. Panasonic TX-50EX750B review - The EX750B is the top-end model in Panasonic's 2017 range of LED TVs and it's a UHD HDR model. The 50-inch screen is a very good size for family viewing, and this model is a solid all-rounder, with excellent picture quality, good Smart TV and connectivity, and a neat and flexible design. Panasonic TX-55CX700B review - The Panasonic TX-55CX700B is an incredibly good value television. For a little over �1000, you'll get a stunning 55-inch UHD (4K) display with superb picture quality. Highlights include super bright and vivid images, with plenty of deep blacks and dynamic range. Viewing angles are wide, and the screen has 3D capability too. Smart TV is excellent too. In short, it's a highly recommended TV and one of the best of 2015. Panasonic TX-55CX802B review - If you're searching for the ultimate TV, the Panasonic TX-55CX802B comes close. 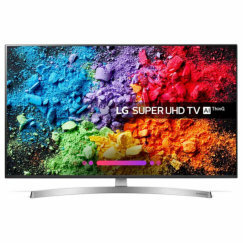 With a stunning design and almost-perfect UHD images and HDR future-proofing, plus high quality audio, excellent Smart TV and connectivity, the only reason not to buy it is its high price. Panasonic TX-58DX750B review - The Panasonic Viera TX-58DX750B can hardly fail to impress, with its beautiful Switch design concept, razor-thin and adjustable silver metal stand. It's Super Bright UHD screen displays 4K content with impeccable detail, and is HDR-enabled too. 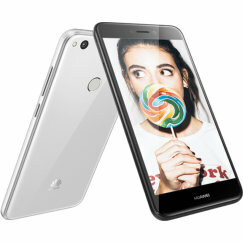 Audio quality is a little weak, but the Firefox OS and built-in and Freeview Play with twin tuners make up for this, providing a full suite of entertainment possibilities. This is an outstanding TV offering fantastic value for money. Panasonic TX-58DX802B review - The Panasonic TX-58DX802B is an extraordinary TV with unique designer looks. Suspended on a metal frame, this enormous TV delivers first-class picture quality, with HDR and 3D support. Audio quality is second-to-none, thanks to the included soundbar. And with Freeview Play, Netflix 4K, Amazon 4K, YouTube, and twin Freeview HD and Freesat HD tuners, you'll never be short of something to watch. Panasonic TX-58DX902B review - New for 2016, the Panasonic Viera TX-58DX902B is a contender for best LCD TV of all time. Equipped with professional quality colour management, 4K High Dynamic Range (HDR), and full array local dimming it provides near-perfect picture quality. Audio quality is excellent, thanks to 4 separate speakers, and the Smart TV is comprehensive and easy to use. A full range of connectivity options, including 4 HDMI connections completes the package. It's undoubtedly very expensive, but good value when compared with OLED televisions. Panasonic TX-65DX902B review - The Panasonic TX-65DX902B offers a mind-blowing TV experience, thanks to its gigantic 65-inch screen and unrivalled picture quality. With 4K HDR and full array local dimming, it's faultless in its dynamic range, colour accuracy, peak brightness and motion rendering, delivering quite possibly the ultimate home cinema experience. Panasonic TX-L32B6B review - The TX-L32B6B is Panasonic's entry-level 32 inch TV, and is a good buy if money is tight. Whilst the picture and audio quality aren't the best, and there's no Smart TV, you do get a media player and overall the TV offers a lot for your money. Panasonic TX-L32E6B review - The Panasonic TX-L32E6B is an excellent 32 inch TV offering a superior viewing experience, good Smart TV and outstanding connectivity. It's also gorgeous to look at! Panasonic TX-L32EM6B review - The Panasonic TX-L32EM6B is a budget TV with decent picture quality and smart looks. Panasonic TX-L32XM6B review - The Panasonic TX-L32XM6B is a poor choice of TV with below-average picture quality, audio and connectivity. Panasonic TX-L39E6B review - The Panasonic TX-L39E6B is an excellent 39 inch TV offering a superior viewing experience, good Smart TV and outstanding connectivity. It's also gorgeous to look at! Panasonic TX-L42B6B review - The TX-L42B6B is Panasonic's entry-level 42 inch TV and is one of the cheapest 42 inch LED TVs available. Panasonic TX-L42DT65B review - The DT65B is the flagship model in Panasonic's 42 inch range of LED TVs for 2013. Panasonic TX-L42E6B review - The Panasonic TX-L42E6B is an excellent 42 inch LED TV with the benefit of Smart TV but without 3D. It lacks some bells and whistles found on more expensive sets, but offers good value for the budget buyer. Panasonic TX-L42ET60B review - The Panasonic TX-L42ET60B is possibly the best family-sized TV you can buy for around �600! Panasonic TX-L42WT50B review - Panasonic's flagship 42 inch LED TV is a good all-round performer, but it's not the best and we can't find a reason to recommend spending all that money. Samsung UE32EH5000 review - This full HD TV offers excellent value for money, although it suffers from poor response times and a narrow viewing angle. It's also not a slim TV. Samsung UE32EH6030 review - Our choice for the best 32 inch TV of 2012, this TV delivers excellent value for money with an attractive design. Samsung UE32ES5500 review - A good value TV with great looks, excellent connectivity and Smart TV. But picture quality does let it down. Samsung UE32F4000 review - The Samsung UE32F4000 is the cheapest 32 inch Samsung TV available, but it makes too many cuts for us to recommend it. Samsung UE32F4500 review - The Samsung UE32F4500 is the standout model in Samsung's Series 4 and Series 5 ranges of 32 inch TVs. Picture quality may be compromised, but the designer looks and brilliant Smart TV make it a better buy than most. Samsung UE32F4510 review - The Samsung UE32F4510 is a superb low-cost LED TV. Picture quality may be compromised in some ways, but the designer looks and brilliant Smart TV make it a better buy than most. Samsung UE32F5000 review - The Samsung UE32F5000 is a bargain 32 inch TV that cuts a few corners but is excellent for the price. You'd need to spend a lot more to get anything better. Samsung UE32F5500 review - The UE32F5500 is the best Samsung TV you can buy for �400 or less. Although picture quality is average, the Smart TV excels and the built-in Wi-Fi is also nice to have. Samsung UE32F6100 review - The Samsung UE32F6100 is a good-looking 3D LED television, but with mediocre picture quality and no Smart TV. Samsung UE32F6200 review - The Samsung UE32F6200 is a very attractive TV with an eye-catching silver finish and great Smart TV functions. Samsung UE32F6400 review - A good-looking LED television with outstanding Smart TV and premium looks, but picture quality could be better. Samsung UE32F6800 review - The Samsung UE32F6800 is an excellent television with its striking contemporary design, superb Smart TV and the best picture quality of any 32 inch Samsung we've reviewed. Samsung UE32H4500 review - If you're searching for a top value 32-inch TV with Smart TV, then the Samsung UE32H4500 is probably the one. Samsung UE32H5000 review - The Samsung UE32H5500 is a good basic 32 inch TV. 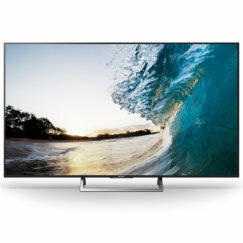 Priced at the entry level, it delivers good picture quality, but cuts back on Smart TV functionality and connectivity. Samsung UE32H5500 review - The Samsung UE32H5500 is an outstanding 32 inch TV. Priced at the budget level, it delivers good picture quality, outstanding Smart TV and plenty of connectivity. Samsung UE32H6200 review - An excellent mid-range 32-inch TV with stylish looks, good picture quality, outstanding Smart TV and plenty of connectivity options. Samsung UE32H6400 review - The 32 inch version of Samsung's H6400 series is arguably the best compact TV available this year. It's not cheap, but it gives you everything you could want from a 32 inch TV. Samsung UE32H6410 review - The Samsung UE32H6410 takes what was probably the best 32-inch TV on the market and adds premium designer styling. It isn't cheap, but it's worth the money. Samsung UE32J5100 review - The Samsung UE32J5100 is one of the cheapest 32-inch TVs we've ever reviewed. With the J5100, Samsung has stripped its Series 5 TV to the very basics, but if you're looking for a very cheap television with a Freeview HD tuner and not much else, this is a good option. Samsung UE32J5500 review - The Samsung UE32J5500 pulls off a seemingly impossible feat - a Smart 32-inch TV for around �250. There's value here by the bucket load, all wrapped up in a designer look. Picture quality may not be a match for Samsung's more expensive models, but it will be good enough for most viewers. Samsung UE32J5600 review - The Samsung UE32J5600 is a good value entry-level Smart TV. Its design and specifications are the same as the J5500, but the frame and stand have an all-black finish. The J5600 has a slightly higher Picture Quality Index of 400 vs the 300 of the J5500. Samsung UE32J6300 review - The Samsung UE32J6300 is one of the best 32-inch TVs you can buy in 2015, and it's good value at under �400. We're impressed by its motion response and overall picture quality, and the Smart TV and wide range of connectivity options are excellent too. The curve makes it most suitable for a single person, or perhaps a couple, but definitely not a family. Samsung UE32K5500 review - The Samsung UE32K5500 is our top choice for a 32-inch TV in 2016. Costing less than �300, it gives excellent picture quality and comes with Samsung's Tizen Smart TV system. Although not all apps are released yet, Samsung is promising a full suite of catch-up TV and streaming content apps. Samsung UE32M5500 review - The Samsung UE32M5500 is a good choice of 32-inch TV. With a smart, practical design, good picture quality, and a wide choice of content from Amazon and Netflix, BBC iPlayer, ITV Hub, All 4 and My5, this model does everything we want from a small screen. Samsung UE37ES5500 review - A good value TV with great looks, excellent connectivity and Smart TV. But picture quality seriously it down. Samsung UE37ES6300 review - The Samsung UE37ES6300 is a 37-inch mid-range TV with smart looks, Smart TV, Wi-Fi and 3D. Picture quality is fair, but it's not the best at this price, and the screen size is unusual. Samsung UE40EH5000 review - This Samsung Series 5 is a good compromise if you're looking for a cheap 40 inch TV, but be warned that picture quality isn't the best. 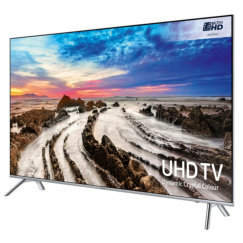 Samsung UE40EH6030 review - One of the best 40 inch TVs in the under-�500 price range with 3D, an ethernet connection and an attractive design. Samsung UE40ES5500 review - A good value TV with great looks, excellent connectivity and Smart TV. But picture quality lets it down. Samsung UE40ES6300 review - A good mid-range TV with smart looks, Smart TV, Wi-Fi and 3D. Picture quality is fair, but not the best at this price. Samsung UE40ES6710 review - A fully-featured mid-range 3D TV with designer looks, good picture quality and Smart TV. Samsung UE40ES7000 review - A stunning top-of-the-range LED TV with an ultrathin design, good picture quality and plenty of Smart TV functionality. Samsung UE40ES8000 review - A stunning designer LED TV with excellent picture quality, top notch 3D performance and the best of Smart TV functionality. Samsung UE40F5500 review - The Samsung UE40F5500 is a good-looking 40 inch LED TV with Samsung's outstanding Smart TV system. However, picture quality isn't the best at this price, and we prefer rival models from Sony and Panasonic. Samsung UE40F6100 review - The UE40F6100 isn't our favourite telly. Picture quality is fair at best, connectivity is restricted and there's no Smart TV. Samsung UE40F6200 review - The Samsung UE40F6200 is an attractive TV with an eye-catching silver finish and great Smart TV, but suffers from low picture quality. Samsung UE40F6320 review - The Samsung UE40F6320 offers outstandingly good Smart TV and premium looks. It's excellent value too! Samsung UE40F6400 review - A good-looking 40-inch 3D LED television with outstanding Smart TV and premium looks. Samsung UE40F6500 review - The UE40F6500 is an excellent 40 inch LED television with superb Smart TV and good picture quality. Samsung UE40F6510 review - The Samsung UE40F6510 is a stunning 40 inch TV with a good array of features. Highly recommended! Samsung UE40F6740 review - The 40 inch F6740 LED TV is attractively styled and offers outstanding Smart TV plus good picture quality, including 3D. Recent price falls enhance its appeal. Samsung UE40F6800 review - The 40 inch F6800 with its striking contemporary design is an outstanding family-sized television with superb Smart TV and excellent picture quality. Samsung UE40F7000 review - Samsung's beautiful 40 inch Series 7 TV offers fantastic viewing quality and class-leading Smart TV but comes at a premium price. Samsung UE40F8000 review - Expensive, but truly excellent, the Samsung UE40F8000 is a top-performing TV. Samsung UE40H5500 review - Samsung's 40-inch Series 5 television is an excellent choice for anyone looking for a family-sized Smart TV on a budget. Samsung UE40H6200 review - An excellent mid-range 40-inch TV with stylish looks, good picture quality, outstanding Smart TV and a host of connectivity options. 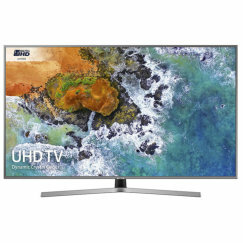 Samsung UE40H6400 review - A Superb mid-range 3D LED TV with outstanding Smart TV and connectivity, good picture quality and stylish looks. Samsung UE40H6410 review - The Samsung UE40H6410 is a mid-range 40 inch TV with designer looks. It's good value for money and delivers outstanding Smart TV, good picture quality and a wide range of connectivity options. Samsung UE40H6500 review - The UE40H6500 is another excellent mid-range 3D-capable TV from Samsung with great Smart TV and connectivity, fast quadcore responsiveness, good picture quality and stylish looks. Samsung UE40H6670 review - The Samsung UE40H6670 is an outstanding 3D-capable TV with above-average picture quality, top Smart TV and connectivity, and is great value in its 40 inch format. Highly recommended! Samsung UE40H6700 review - The Samsung UE40H6700 is an outstanding 3D-capable TV with above-average picture quality, top Smart TV and connectivity, and is great value in its 40 inch format. Highly recommended! 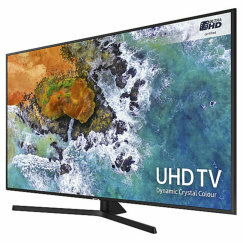 Samsung UE40H7000 review - Samsung's 40 inch Series 7 LED TV is a superior television with excellent picture quality, stylish design, superb Smart TV and outstanding connectivity. It's expensive though. Samsung UE40J6300 review - The J6300 is Samsung's cheapest curved TV for 2015, and the 40-inch model is an excellent choice for a single person or a couple. Priced competitively, it's a stylish TV with excellent picture quality, good connectivity and Smart TV functionality. The narrow viewing angles and curved screen make it less suitable for family viewing, however. Samsung UE40JU6400 review - The Samsung UE40JU6400 is a mid-range family TV that offers a very good all-round viewing experience. It's UHD-ready, although it's debatable whether this feature offers a clear advantage at this 40-inch size. Still, there's a lot to recommend this particular model, even though viewing angles are narrow. Now that the price has dropped significantly from launch, it's one we can recommend. Samsung UE40JU6445 review - The Samsung UE40JU6445 is a mid-market 40-inch TV and is a good value family television. It's a nice-looking TV with the benefit of UHD (4K) resolution and Samsung's new Smart TV system. It's a very polished all-round performer. and its only issue is the relatively narrow viewing angles. Samsung UE40JU6500 review - The Samsung UE40JU6500 is a 40-inch UHD TV with an absolutely stunning curved design. It definitely looks the part, and offers good picture quality and easy-to-use Smart TV too. Viewing angles are restricted however, and this effect is amplified by the screen curvature. At launch, the TV is over-priced and we're hoping for a price drop in time for Christmas. Samsung UE40JU6510 review - The Samsung UE40J6510 is the same as the J6500 model, but has a light grey / chrome finish instead of black, and includes Freesat as well as Freeview. Even the remote controls are colour-coordinated in white! To our taste, it doesn't look any better than the standard version, just different. What's definitely not to our taste is the inflated price. The J6500 model was too expensive, and the J6510 is costs even more. Samsung UE40JU6740 review - The Samsung UE40JU6740 is a very attractive TV with a curved screen. It also offers the benefit of a built-in Freesat HD tuner. But despite producing some impressive levels of brightness and contrast, viewing angles are narrow, and the curved screen doesn't help with that at all. It's also very expensive for a 40-inch television. Heck, for this money you could even buy a decent 48-inch TV! 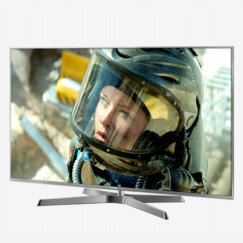 Samsung UE40K5500 review - The 40-inch version of the Samsung K5500 is a top value TV, available for under �400. It may not have the latest 4K feature, but at this size it hardly matters. Picture quality is excellent for the price, and it comes with Freeview HD, BBC iPlayer, Amazon and Netflix. Samsung UE40KU6000 review - The Samsung UE40KU6000 is a top value 40-inch UHD (4K) TV. Sitting at the bottom of Samsung's Series 6 televisions, this is a very good entry-level model, with high picture quality, although motion can be a bit judddery. Smart TV functions are excellent, and the set looks good too. Samsung UE40KU6100 review - The Samsung UE40KU6100 is an entry-level 40-inch UHD (4K) TV with a curved screen. Picture quality is generally good, but viewing angles are restricted, so this TV is recommended for use by one person only. Motion can be juddery at times too. However, the TV has smart looks and comes with good Smart TV and connectivity options. Samsung UE40KU6400 review - The Samsung UE40KU6400 is one of the best 40-inch TVs you can get your hands on in 2016. With all the latest features, including 4K and HDR, it's a top performer, with smart looks and Smart TV too. It's priced towards the higher end, but is well worth it. Samsung UE40KU6470 review - The Samsung UE40KU6470 is one of the best 40-inch TVs you can buy. It's the same as the KU6400, but with a stylish silver V-stand, and a more advanced remote control. Samsung UE40MU6100 review - The Samsung UE40MU6100 is one of the best budget-end TVs you'll find in 2017. Priced well even at launch, this is a nice looking TV with good picture quality, a decent audio system, and outstanding Smart TV, including Netflix, Amazon and popular catch-up services. Samsung UE40MU6400 review - The Samsung UE40MU6400 is one of the best 40-inch UHD TVs you can buy in 2017. Combining premium looks, superb Smart TV functionality and connectivity, and outstanding picture quality, it's everything you need from a modern TV in a compact form. The only reason we haven't given it 5 stars is the price. Samsung UE42F5000 review - The Samsung UE42F5000 offers the tempting prospect of a 42 inch TV at a bargain basement price. But the below-average picture quality and lack of connections could make it an expensive mistake. Samsung UE43J5500 review - The Samsung UE43J5500 is a budget family-sized TV that's worth considering if money is tight. For the price, you get a large 43-inch screen, plus Smart TV functions and excellent connectivity. The picture quality and audio aren't the best, but for everyday viewing they are probably good enough to satisfy most people. Samsung UE43KU6000 review - Positioned at the bottom of Samsung's Series 6 TV range for 2016, the 43-inch Samsung UE43KU6000 is excellent value, offering sharp 4K pictures with HDR-compatibility, and capable of showing plenty of shadow detail. The TV also has a very comprehensive Smart TV system, including Amazon, Netflix and YouTube. Samsung UE43M5500 review - The Samsung UE43M5500 is a good choice of budget 43-inch television. With a practical and attractive design, decent picture quality, and a wide range of content from Netflix, Amazon, BBC iPlayer, ITV Hub, All 4 and My5, there's no great need to spend more. Samsung UE46ES7000 review - An absolutely stunning 46 inch LED TV with an ultrathin design, excellent picture quality and plenty of Smart TV functionality. Samsung UE46ES8000 review - This is a beautifully-designed 46 inch LED TV with excellent 2D and 3D picture quality and a huge array of Smart TV options. Samsung UE46F6500 review - The UE46F6500 is an excellent 46 inch LED television with superb Smart TV and good picture quality. Samsung UE46F6510 review - The UE46F6510 is a stunning 46 inch LED television with superb Smart TV and good picture quality. Samsung UE46F6800 review - The 46 inch F6800 with its striking contemporary design is an excellent family-sized television with superb Smart TV and good picture quality. Samsung UE46F7000 review - Samsung's beautiful Series 7 TV offers fantastic viewing quality and class-leading Smart TV but comes at a hefty price. Samsung UE46F8000 review - The 46 inch Series 8 LED TV delivers superb picture and audio quality and outstanding Smart TV and is now fairly priced. Samsung UE46H7000 review - Samsung's Series 7 LED TV is a superior television with truly excellent picture quality, impressive audio with twin dedicated woofers, superb Smart TV and outstanding connectivity. The 46-inch model is highly recommended. Samsung UE48H6200 review - The Samsung UE48H6200 gives you a lot of TV for a small price, but the compromises that aren't so visible in smaller versions of the H6200 become all too noticeable when the screen size is this big. Samsung UE48H6400 review - Samsung's 48 inch H6400 TV delivers a big screen experience at a surprisingly low cost, making truly large screens affordable for the first time. Samsung UE48H6410 review - Keen pricing, designer looks and a huge 48-inch screen make this TV a compelling proposition. Samsung UE48H6500 review - The Samsung UE48H6500 is an excellent 48 inch TV that gives you an impressive big-screen experience at a very reasonable price. Samsung UE48H6670 review - When it comes to big screens with big value, the 48 inch version of the Samsung H6670 is the one to watch. This top-of-the-range Series 6 TV delivers an excellent performance at an excellent price and is one of our star buys for 2014. Samsung UE48H6700 review - The 48 inch version of the Samsung H6700 series offers outstanding value for a 48-inch TV, with excellent picture quality and a huge range of features, including Samsung's market-leading Smart TV. Samsung UE48J6300 review - Samsung's curved UE48J6300 scores top marks for design, and it's outstanding value for money too, being one of the cheapest 48-inch televisions on sale. Despite missing out on UHD, this TV offers excellent picture quality, although viewing angles are narrow, and the curved screen makes this problem worse. Samsung UE48JS8500 review - Samsung's 48-inch JS8500 SUHD TV is an absolutely superb television with outstanding picture quality, superior audio, great Smart TV and stunning looks. Packed with high-end features such as nano crystal technology and HDR support, it's future-proof too. Recent price drops have made it affordable at last, and only the curved screen stops us giving it 5 stars. Samsung UE48JU6400 review - The 48-inch Samsung UE48JU6400 is an excellent choice of TV for family viewing. With UHD (4K), excellent picture quality and Samsung's latest Smart TV system, it's a top-notch performer. We like its attractive styling, and pricing is very competitive too. Samsung UE48JU6445 review - The 48-inch Samsung UE48JU6445 is almost identical to the JU6400. It's a good UHD TV for family viewing, with excellent picture quality, and Samsung's latest Smart TV system. The design is stylish and practical, with a flat screen rather than a less practical curve. The JU6445 is exclusive to Currys / PC World. Samsung UE48JU6500 review - The Samsung UE48JU6500 is one of the best-looking sub-�1000 TVs for 2015, with a sleek curved design and a 48-inch UHD screen. Having said that, the curved screen won't be right for everyone, and the TV misses out on 3D. There's a lot to like about this TV, but on balance we prefer the flat screen J6400 model. Samsung UE48JU6740 review - The Samsung UE48JU6740 gets very high marks for its beautiful curved screen and attractive V-shaped stand. It scores well for picture quality too, although its limited viewing angles count against it. The built-in Freeview and Freesat tuners are another bonus. Just watch out for the price! Samsung UE48JU7000 review - The UE48JU7000 is one of the best Samsung TVs we've reviewed in 2015. Picture quality is close to perfection, and audio quality is above average too. The design is subtle and under-stated, and it's hard to find anything wrong, other than the relatively high price. To get better than this you'd have to spend silly amounts of money. Samsung UE49K5500 review - If you're after a big screen on a tight budget, then the Samsung UE49K5500 is probably what you've been looking for. You can pick up one of these for �500 if you shop around, and that makes it a bargain. It misses out on 4K, but picture quality is excellent apart from a little motion blur, and it comes with Freeview HD, BBC iPlayer, Amazon and Netflix. Did we mention that it's a 49-inch TV for �500? Samsung UE49KS7000 review - The Samsung UE49KS7000 is an affordable version of Samsung's flagship KS9000 SUHD TV. It has a flat screen instead of curved, and a branch-style stand with silver metal feet instead of a central stand. The audio system is also less powerful. But it's several hundred pounds cheaper too, and that makes it a top buy. With 4K viewing and HDR capability, the KS7000 produces extraordinarily clear pictures. Plus you get Netflix and Amazon support - everything is here, except for 3D. Samsung UE49KS7500 review - The Samsung 49KS7500 is the same as the flagship KS9000, but with a branch-style stand with silver metal feet instead of the latter's Y-shaped central stand. The audio system is also less powerful. But the KS7500 still offers incredible 4K viewing with support for the HDR 1000 standard, giving it extraordinary clarity. Samsung's outstandingly good Smart TV system gives easy access to Netflix and Amazon Instant Video, as well as catch-up TV services. Just be aware that 3D isn't supported on this TV. Samsung UE49KS8000 review - In our opinion, the KS8000 is the best Samsung TV of 2016. With bright, vivid and crystal clear images in full 4K resolution, and High Dynamic Range (HDR) capability making it future-proof, it delivers outstanding picture quality, although as with all of Samsung's 2016 models, 3D is missing. The design of the device is gorgeous, and the 49-inch 49KS8000 will be the best size for many homes. The Smart TV system is user-friendly and gives easy access to Netflix, Amazon Instant Video, YouTube and catch-up TV. It really is the complete package. Samsung UE49KS9000 review - The Samsung UE49KS9000 is one of the very best TVs you can buy in the under-50-inch size. It's a real design icon with its slim-edge curved screen and metal stand. Picture quality from this UHD 4K TV is superb, with quantum dot technology and edgelit local dimming enabling a huge dynamic range and wide colour spectrum. It's a superb screen for watching UHD programmes via Netflix 4K and Amazon Instant Video, as well as for high definition gaming, thanks to its low lag times. However, the tight curvature means that the optimum viewing distance is 3 metres, and demands that the viewer be seated central to the screen. Samsung UE49KU6400 review - The 49-inch Samsung KU6400 LED TV offers amazing value. It's an impressively-good television including all the must-have features of 2016 - 4K, HDR, catch-up TV from the BBC iPlayer, ITV Player, All 4 or My5, and streaming content from Amazon and Netflix. Picture quality can't be beaten at this price, and it's probably the best mid-range family TV of the year. Samsung UE49KU6470 review - The Samsung UE49KU6470 looks set to be one of the best TVs you can buy in 2016 for under �1,000. We're impressed by its classy looks, pin-sharp UHD picture with HDR compatibility, excellent shadow detail and refined motion control. Smart TV is another of its strong features, and this 49-inch TV will make a superb screen for any family. Samsung UE49KU6500 review - The Samsung KU6500 is a curved version of the top-selling Samsung KU6400 4K TV. The 49-inch KU6500 costs around �100 more than its flat counterpart, but is still a good value mid-range TV. Samsung UE49KU6670 review - The Samsung UE49KU6670 is a mid-range UHD TV with HDR and a curved screen. The KU6670 comes with a smart silver stand, built-in Freeview and Freesat tuners, and a smart remote control. Samsung UE49MU6400 review - The Samsung UE49MU6400 is a top mid-range 49-inch UHD TV with HDR support. Competitively-priced, with an upmarket stylish look, superb Smart TV functionality and connectivity, and excellent picture quality, it's a TV that's been very carefully tailored to provide everything you need for modern family viewing. Samsung UE49MU6470 review - The Samsung UE49MU6470 is a smart-looking and very affordable 49-inch TV equipped with UHD (4K) and High Dynamic Range, including support for the new HDR10 and HLG standards. The picture quality is very good for a modestly-priced TV, and the Smart TV is excellent, with Netflix, Amazon, BBC iPlayer and more. Samsung UE50JU6800 review - New for Autumn 2015, the Samsung UE50JU6800 is the best of the company's affordable range of Series 6 TVs. It's a UHD (4K) screen with Samsung's new nano crystal technology, but it's priced significantly lower than the Series 8 & 9 TVs that first introduced this feature. The difference between this and the cheaper Series 6 models is subtle, but the price difference is slight, and as this is a 50-inch screen, we think it offers excellent value for money. Samsung UE50KU6000 review - If a 50-inch 4K TV for under �700 from a major brand-name sounds good to you, then you'll like the Samsung UE50KU6000. This TV has all the latest features: HDR-compatibility, Amazon and Netflix streaming, and all the latest Samsung apps. Sports fans may find motion blur to be an issue however. Samsung UE50MU6100 review - The Samsung UE50MU6100 gives you 50 inches of 4K HDR television for a phenomenal price. For �600 or less, you'll get a stylish TV with all the latest features, including superb Smart TV with Netflix, Amazon and more. This is definitely one of the bargains buys of 2017. Samsung UE55ES8000 review - The ultimate LED TV from Samsung's 2012 series, with a mind-blowing 55 inch screen, but it doesn't come cheap. Samsung UE55F8000 review - It's an awful lot of money to splash on a telly, but if you have the cash, this gorgeous machine is simply the ultimate LED TV. Samsung UE55H6670 review - The Samsung UE55H6670 offers amazing big screen value - 55 inches of viewing pleasure for around �1000! Samsung UE55H8000 review - The Samsung UE55H8000 is arguably the best non-UHD (4K) TV on the market. It has a stunning curved design, but in our opinion this is also its major flaw, and we aren't convinced by curved screen viewing in this model. Samsung UE55HU7500 review - The Samsung UE55HU7500 is a near-perfect UHD TV. Offering gorgeous premium design, stunning picture quality, 55 inches of flat screen, and superior audio quality, we think it's good value even at �2,000. Samsung UE55JS8000 review - The Samsung UE55JS8000 is a 55-inch Series 8 TV with a flat screen, and is simply the best TV we've reviewed in 2015. With nano crystal technology and a super-bright screen bringing natural colours and incredible shadow detail, it creates the most realistic images we've ever seen on an LED television. Samsung UE55JS8500 review - The 55-inch version of Samsung's JS8500 SUHD television is outstanding. At this size, we can start to appreciate the benefits of the curved screen, and the Series 8 gives us everything we could ask for - from nano crystals to HDR. 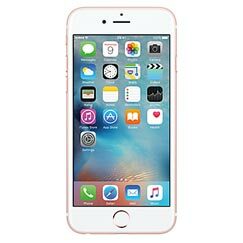 It's fallen significantly in price since the start of 2015, although it still costs more than �1500. But it's worth it! Samsung UE55JU6400 review - The Samsung UE55JU6400 is a top value UHD television. It's one of the best value 55-inch screens we've reviewed, and at 55 inches, you really can appreciate the difference that 4K resolution makes. This flat screen mid-range entry in Samsung's 2015 line-up looks like a good bet if you're after a big screen that won't break the bank. Samsung UE55JU6500 review - The Samsung UE55JU6500 gives you a lot for your money - 55 inches of curved, ultra-high definition television, to be precise. It's a beautiful TV, with excellent picture quality, and 55 inches is big enough to truly appreciate both the curved screen and the 4K screen resolution. It's quite competitively priced, and one that we would recommend. Samsung UE55JU6800 review - The Samsung UE55JU6800 is a 55-inch UHD (4K) TV selling for around the �1,000 mark. The J6800 is the most affordable model to include Samsung's new nano crystal display technology, and offers superb UHD (4K) viewing, together with excellent Smart TV. Samsung UE55JU7500 review - The Samsung UE55JU7500 is a premium UHD TV with a curved screen. Picture quality is truly outstanding, apart from an issue with limited viewing angles, but for gamers it's a superb option, with ultra-low input lag and an immersive experience. The audio system is well above average too. It's an expensive purchase, but not over-priced for what's on offer here. Samsung UE55KS7000 review - The Samsung UE55KS7000 SUHD TV is the best television you can buy for �1500 in 2016! The 55-inch KS7000 has a superb Ultra HD premium screen with full HDR support, and produces outstandingly good picture quality. Sound quality is good too, and the Smart TV has everything you might want. The design is premium, and the only thing missing is 3D. Samsung UE55KS7500 review - The Samsung 55KS7500 SUHD HDR TV has a stunning, curved screen and a distinctive metal stand. Picture quality is detailed, colourful and vivid, although like all of Samsung's 2016 TVs it doesn't support 3D. Samsung's superb Smart TV system gives easy access to Netflix and Amazon Instant Video, as well as catch-up TV services. This TV is highly recommended. Samsung UE55KS8000 review - The Samsung KS8000 is the best of the Korean company's 2016 range of LED TVs, and the 55-inch model seems like the ideal choice to enjoy 4K HDR viewing at its best. The super-bright screen shows more subtle shadow details than most rivals, and is the best screen you can buy for the price, in our opinion. Audio quality is excellent too, as is connectivity, and Samsung's 2016 Smart TV system is simply outstanding. Samsung UE55KS9000 review - The Samsung UE55KS9000 is a 55-inch SUHD TV with a stunning slimline design and a curved screen. Picture quality is excellent, with 4K HDR delivering ultra-sharp and detailed images, with accurate colours and plenty of shadow detail, although it's missing out on 3D support. Audio quality is excellent, as is Samsung's Smart TV system, which includes Netflix and Amazon Instant Video, as well as cloud gaming. It's a top all-round TV and highly recommended! Samsung UE55KU6000 review - The Samsung 55KU6000 Smart TV gives you an enormous 55-inch screen for less than �900, and that's an incredible deal. But there's more to the KU6000 than just a low price. It's a 4K HDR TV with Amazon, Netflix, and the BBC iPlayer all included. Picture quality is generally very good, with high brightness, deep blacks, and excellent shadow detail. But viewing angles aren't the widest, and motion blur can sometimes be an issue. Samsung UE55KU6400 review - A 55-inch TV for �1000 is a compelling proposition, and the Samsung UE55KU6400U is probably the best 55-inch telly you can buy for this kind of money. Picture quality is excellent, with 4K and HDR support included, and this is a superb choice for family viewing, with BBC iPlayer, ITV Player, All 4 or My5, and streaming content from Amazon and Netflix all on tap. Samsung UE55KU6470 review - The Samsung UE55KU6470 is exclusive to Currys / PC World and is a good quality, affordable 55-inch TV. This 4K HDR TV comes with a good range of catch-up TV, plus streaming content from Amazon and Netflix, and is a good choice for a family TV. Samsung UE55KU6670 review - The Samsung UE55KU6670 is a curved 4K 55-inch TV with HDR. It includes Samsung's excellent Smart TV system, with a good range of catch-up TV, plus streaming content from Amazon and Netflix. It's well-priced for such a large TV, although flatscreen alternatives are even cheaper. Samsung UE55MU6100 review - The Samsung 55MU6100 gives you a big screen for little money - around �750 or less, which is extremely good value for a 55-inch TV. The MU6100 may be a budget TV, but it's a 4K model, HDR-compatible, with superb Smart TV. Watch out for the slow 50Hz refresh rate when watching sport, but otherwise consider this to be one of the great bargains of 2017. Samsung UE55MU6200 review - The Samsung UE55MU6200 gives you a big 55-inch screen at a very good price. It's curved and stylish, with superb Smart TV functionality built in. However, be aware that you won't get the best picture quality from this budget TV. Fast-action scenes can be blurry, and viewing angles are restricted too. Samsung UE55MU6400 review - We're very excited by the Samsung UE55MU6400. It's one of the best value 55-inch TVs we've ever seen, giving everything that most users will want from a big screen, for well under �1,000. For that money you get a premium-look TV with 4K HDR, superb Smart TV and excellent connectivity. It's a bargain! Samsung UE55MU6470 review - The Samsung UE55MU6470 is a superb value 55-inch UHD HDR TV, with support for the new HDR10 and HLG standards. The design is smart, the picture quality is good, and the Smart TV functionality is excellent, with streaming services from Netflix, Amazon, and catch-up services including the BBC iPlayer. Samsung UE55MU7000 review - The Samsung UE55MU7000 is a cost-effective way to enjoy HDR1000 on a big screen. Cheaper than the MU8000 and QLED models, it still gives you superb picture quality, premium design, clutter-free cable management, and Samsung's superb Smart TV system. Highly recommended! Samsung UE55MU7070 review - The Samsung UE55MU7070 is a variation on the MU7000, with a grey stand instead of a silver one, and a couple of other minor tweaks. Picture quality is a step up from Samsung's mid-range models, with excellent brightness, contrast and shadow detail. The audio system is also better than what you'll find in Samsung's Series 6 models. Samsung UE55MU8000 review - The Samsung 55MU8000 really brings 4K HDR content to life, with bright, vivid images and tons of detail. It's a stunningly beautiful centrepiece for your home too, with a sleek, high-end design. Samsung's Smart TV system is superb, and this is a top-rated premium 55-inch TV. Samsung UE65KS8000 review - The Samsung UE65KS8000 is simply one of the very best TVs in the world. The design is premium. Picture quality is exceptional, with super-sharp, vivid images that dance flawlessly across the screen. The sound system is well beyond what we normally expect from a flatscreen TV, and Samsung's Tizen Smart TV system is outstanding, with a full selection of apps, content and connectivity. Samsung UE65KS9000 review - This 65-inch version of Samsung's KS9000 TV range is a stunning piece of design, with its razor-thin curved screen, narrow bezel and chrome stand. Using Samsung's quantum dot technology to generate bright images with huge dynamic range and faultless motion control, this 4K HDR TV really packs a punch, although it's missing 3D and we're not 100% convinced by the curved screen. Audio quality from the 4.1 speaker system is impressive, as is the Smart TV system. Sony KD-49X8305C review - The Sony KD-49X8305C is Sony's entry-level UHD (4K) TV for 2015, and it leaves us wanting more. Although UHD upscaling is handled well and gives a sharp picture, the screen's native lack of contrast and its slow response rate take the edge off viewing. Android TV is a bonus, but this TV seems over-priced compared with UHD models from other manufacturers. Sony KD-49X8307C review - The Sony KD-49X8307C is an entry-level UHD (4K) television that offers the benefits of Android TV. It isn't cheap for an entry-level model however, and although Sony's X1 processor handles content impressively, we're less impressed by the screen's lack of contrast and slow response. This isn't a TV that we'd recommend, and it's over-priced for what you get. Sony KD-49X8309C review - Sony's X83C series provides an affordable entry point into the company's UHD (4K) TV range, and the KD-49X8309C is an attractive and nicely-sized option for family viewing. It comes with the benefit of Android TV, and offers excellent connectivity options. Upscaling from HD content to UHD is excellent, and viewing angles are nice and wide, making this a good choice for family viewing. However, picture quality isn't the best we've seen in 2015, and this model is quite pricey for an entry-level UHD TV. Sony KD-49XE9005 review - The Sony 49XE9005 is one of the priciest 49-inch TVs of 2017, but there's a reason for that. Its direct backlit screen with local dimming delivers outstanding picture quality, whether showing 4K or HDR video. Add in Android TV, a good sound system, and premium design, and the high price is justified. Sony KD-55XD8577 review - The Sony Bravia KD-55XD8577 is a good-value high-end UHD TV. Picture quality from this 55-inch HDR-capable TV is excellent, and it comes with Smart TV, twin Freeview tuners and catch-up TV from Youview. The thin silver frame and metal stand transform it into an object of beauty, but watch out for issues with its Android TV operating system. Sony KD-55XD8599 review - The high-end Sony KD-55XD8599B is a very capable UHD(4K) HDR TV with iconic looks and impressive picture quality. Whilst undoubtedly expensive, it's a lot more affordable than many of the flagship HDR TVs on sale in 2016, and offers a good entry-point into this new technology. The XD8599 also includes the benefits of Android Smart TV, twin Freeview tuners and Youview catch-up TV. Sony KD-55XD9305 review - The Sony KD-55XD9305B is Sony's top 55-inch TV for 2016. Picture quality from this 4K HDR TV is as good as anything we've seen from Sony, thanks to the new Slim Backlight Drive, Triluminos display technology and X1 processor. The TV comes with Android TV, Netflix 4K, and built-in Freeview HD and Youview support. It's an outstanding television in many ways, but our users are reporting a variety of problems. See below for details. Sony KD-55XE9005 review - The Sony 55XE9005 might just be the best TV you can buy for the price in 2017. The direct backlit screen with local dimming delivers outstanding picture quality, whether showing HDR or normal video content. And with a smart, premium design, the benefits of Android TV, and a decent audio system, it's got the lot. Sony KD-55XE9305 review - Sony's 55-inch XE9305B is a high-end LED TV that uses Sony's Slim Backlight Drive to generate impressive HDR images. Equipped with a 3-way audio system, it sounds as good as it looks. Factor in its slim good looks and Android Smart TV, and it's an all-round impressive TV. But the hefty price tag puts it out of range of most buyers, and there are smarter ways to spend your money. Sony KD-65XD9305 review - The Slim Backlight Drive and X1 processor of the Sony KD-65XD9305 work wonders on this huge 65 inch screen, producing an impressive picture that's not far behind OLED TVs. But problems with the Android TV operating system and other faults mean that we can't recommend this product. Sony KDL-32HX753 review - This 32 inch Sony TV has impressive looks, but picture quality is lacking. Sony KDL-32R413B review - If you're looking for a bargain TV, they don't come much cheaper than the 32 inch version of Sony's R4 range. This is a basic TV with the benefit of direct LED backlighting for more uniform lighting. Sony KDL-32W653A review - The Sony W653A is at its most impressive in its 32 inch form, where the picture quality is head and shoulders above most competitors. Price drops in the run-up to Christmas have made it very affordable. Sony KDL-32W705B review - The Sony Bravia KDL-32W705B is a top quality 32 inch TV. With an appealing design, excellent picture quality and useful Smart TV functions, it delivers a top viewing experience at a very reasonable price. Highly recommended! Sony KDL-32W706B review - The Sony Bravia KDL-32W706B is a top quality 32 inch TV. With an appealing design, excellent picture quality and useful Smart TV functions, it delivers a top viewing experience at a very reasonable price. Highly recommended! Sony KDL-40EX653 review - This Sony 40 inch TV offers Smart TV functionality at a competitive price, but is let down by poor picture and sound quality. Sony KDL-40HX753 review - This 40 inch TV from Sony looks the part, but suffers from unimpressive picture and sound quality. Sony KDL-40HX853 review - A stunning design, excellent picture quality and sound, outstanding 3D performance and smart functionality makes this one of the very best 40 inch TVs available. Sony KDL-40R473A review - The entry-level Sony KDL-40R473A is a stylish 40 inch LED TV at a very attractive price. But the poor picture quality, audio quality and connectivity make it a poor choice. Sony KDL-40W605B review - The 40 inch version of Sony's W6 TV range is a low-cost LED TV with surprisingly good picture quality, plus the benefit of Smart TV. It's highly recommended for anyone on a budget. Sony KDL-40W905A review - Futuristic looks, excellent 2D & 3D picture quality, Triluminos colour, NFC display mirroring and strong audio performance make this a top TV. Sony KDL-42W653A review - The Sony 42W653A delivers impressive 2D picture quality at a surprisingly low price. Sony KDL-42W654A review - The Sony 42W654A delivers impressive 2D picture quality at a surprisingly low price. Sony KDL-42W705B review - Sony's W7 range offers the benefits of the W8 series at a lower price, but without 3D. It's a great option for Xbox/PS4 gamers thanks to its low input lag, and it also provides versatile family viewing and Smart TV. Sony KDL-42W706B review - The Sony Bravia KDL-42W706B is the same as the 42W705 but with a Silver coloured bezel surrounding the screen. This emphasises the contemporary, airy design of the TV, adding an extra touch of elegance. Sony KDL-42W805A review - Futuristic looks, NFC display mirroring, fast gaming performance and excellent 3D picture quality are the standout features of Sony's Bravia 42W805A. Sony KDL-42W829B review - The Sony Bravia KDL-42W829 is a mid-range 42 inch TV with an attractive design. Picture quality isn't the best and audio is weak, but for good value family viewing with catch-up TV it offers excellent value for money. Sony KDL-43W805C review - The 43-inch version of Sony's W80C range offers a superb viewing experience, and an attractive, slimline design. Benefits include low lag times, making it ideal for PS4 gaming, plus Android TV with a wide choice of apps and content available. Having said that, Sony's slow roll-out of Android is giving us cause for concern. Sony KDL-43W807C review - The Sony KDL-43W807C is an attractive TV with a 43-inch screen, making it a good size for family viewing. The stylish silver frame and slimline design are distinctive too. Picture quality is excellent, as are the wide choice of connectivity options, and the Android smart TV. We've deducted one star from our rating because of Sony's slow and piecemeal roll-out of the Android operating system. Sony KDL-43W809C review - The Sony 43W809C is a 43-inch version of Sony's excellent W80C range of TVs. The W809C is finished in black with a dark chrome stand, and is exclusive to Currys / PC World. Picture quality and connectivity options are excellent, and the Android smart TV operating system has a lot to offer. However, at present, Sony is still in the process of rolling out Android, and we've deducted one star from our rating because of this issue. Sony KDL-46HX853 review - With a stunning monolithic design, excellent picture quality and sound, outstanding 3D performance and smart functionality, this is Sony's best TV. Sony KDL-46W905A review - The Sony KDL-46W905A is our choice for best 46-inch TV of 2013, thanks to its design, and superb picture quality with Triluminos colour. Sony KDL-47W805A review - Futuristic looks, NFC display mirroring, fast gaming performance and excellent 3D picture quality are the standout features of Sony's Bravia 47W805A. Sony KDL-48W605B review - The Sony KDL-48W605B is a low-cost 48-inch LED TV with the benefit of Smart TV. However, it's very much a no-frills model and not the best in Sony's range. Sony KDL-50W705B review - The Sony KDL-50W705B gives you a big 50 inch screen at a good price. It provides versatile family viewing and Smart TV, but it isn't the best for picture quality or audio. Sony KDL-50W706B review - The Sony KDL-50W706B gives you a big 50 inch screen at a good price. It provides versatile family viewing and Smart TV, but it isn't the best for picture quality or audio. Sony KDL-50W755C review - The Sony KDL-50W755C is a first-rate 50-inch TV that offers tremendous value for money. It misses out on UHD and 3D, but it's a stylish looker with superb picture quality and all the benefits of Android 5.0 Smart TV. Sony KDL-50W805C review - The Sony KDL-50W805C is a 50-inch TV with superb picture quality that costs around �600. It's not UHD (4K), but that doesn't worry us in the least when the image quality is this compelling. Low input lag makes this a top choice for gamers too. Only the slow, piecemeal roll-out of its Android TV system gives us any concern about recommending this television. Sony KDL-50W807C review - The Sony 50W807C is an attractively-styled 50-inch TV with a slim design and a silver finish. It lacks UHD (4K), but makes up for this with top-rate Full HD picture quality. It's good value too, and would be a 5-star product if it wasn't for teething problems in its Android TV smart operating system. Sony KDL-50W809C review - Sony's KDL-50W809C is one of the best 50-inch Full HD TVs you can buy. For less than a thousand pounds, you'll get a stylish TV with superb picture quality, fast response times for PS4 and Xbox One gamers, and all the advantages of smart Android TV. We're holding back one star in our rating until the teething problems in Sony's roll-out of Android TV are resolved, but this looks set to be a genuine 5-star rated product once those problems are fixed. Sony KDL-50W829B review - The Sony Bravia KDL-50W829B gives you a lot of TV for your money - 50 inches for under �1,000! 2D picture quality is good, although 3D is below average. The audio quality and Smart TV system are also not the very best, but the TV is great value if you're looking for a large screen. Sony KDL-55HX853 review - Absolutely a 5 star TV, from the stunning monolithic design all the way to the excellent sound and picture quality. Sony KDL-55W905A review - Futuristic looks, excellent 2D & 3D picture quality, Triluminos colour, NFC display mirroring and strong audio performance make this a top TV, but an expensive one.